My good friend has been suffering for a long time, tried and tested many different techniques and remedies with not much help. She asked me to create a yoga programme that would help her to ease the symptoms and more I look into it more people I come across who suffer with this condition. So what is the Restless leg syndrome? It is a disorder that causes uncomfortable, urgent feelings in the body. It is considered a neurological sleep disorder. Those with restless leg syndrome can have a variety of symptoms including a need to move or shake the legs, a crawling sensation, or a tickling or itching feeling. Many people with restless leg syndrome also experience twitching or jerking of the limbs during sleep. At this time, there is no known cure for restless leg syndrome. The most common treatments include a daily light exercise routine, cutting out caffeine, nicotine, white sugar and other stimulants, and establishing a more restful sleep environment. In addition to regular yoga practice, particular postures can help relieve the symptoms of restless leg syndrome. End of day yoga and meditation routines can help the sufferer create a stable evening and relaxed mind for bedtime. Any yoga posture that releases nervous energy from the legs will help. Postures like Standing Forward Bend, Downward Facing Dog, and Goddess Pose release tension and nervous energy from the body. If energy is constructively released from the body, it should improve your odds for less restless leg syndrome flare ups and a healthy sleep session. Perform yoga poses that work the thigh muscles and also those that flex and extend the solar plexus and pelvis. 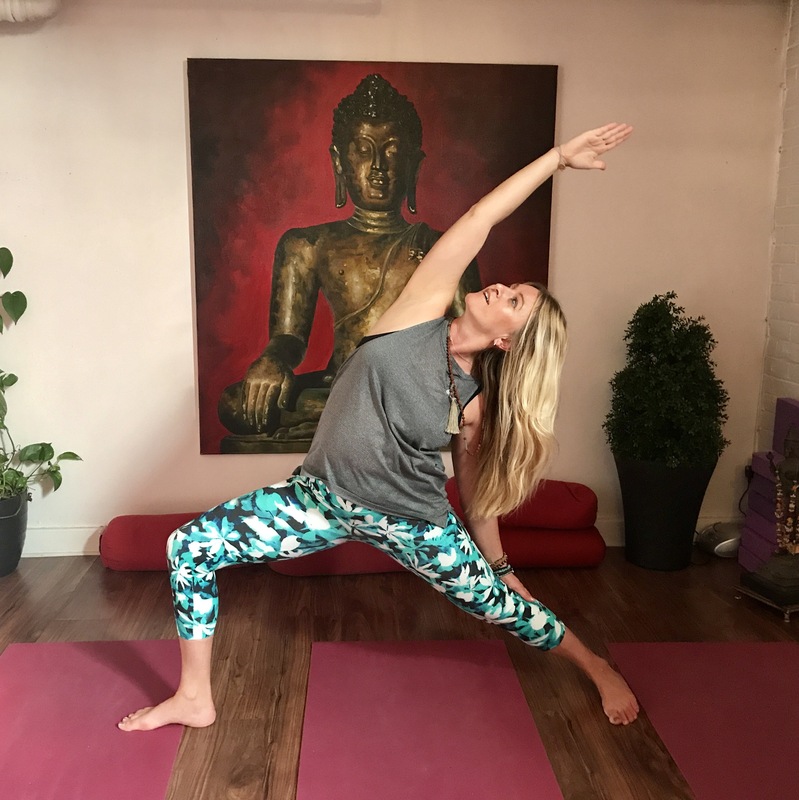 I have found that forward bends, backward bends and spinal twists are all beneficial as well as specific poses that contract the thighs such as the chair pose and the warrior pose series. If you want to practice just one posture, try ‘legs up the wall’ – that will feel really good! Legs up the Wall pose is good for aiding circulation within the legs. The pose should be held for five to twenty minutes, depending on the ease of the pose for the practitioner. If there is discomfort in the back, a bolster or blanket can be placed under the small of the back. All poses should be performed very slowly with great attention to the body and breath. Practice alternate nostril breathing before bed (Contact me for instructions). Cut out caffeine, nicotine, white sugar and other stimulants. I have created a yoga sequence designed especially for this condition. I would be happy to share this programme with any sufferers so please do get in touch and hopefully we will find a way to help you with your busy legs!